These are times where the followers of the Holy One, both Hebrew and Gentile, are to dedicate themselves to performing their prescribed rules as best as can possibly be done, in order to draw as close to Him as possible in those appointed times. They are so much more than secular holidays – rather, they are truly days imbued by the Creator with spiritual value for the people of the Most High, days where we become holy to Him by simply gathering and observing a few very simple rules. These are the days that are appointed by the Holy One Himself for all His followers to observe. These two times are are often viewed as MOEDIM, but in reality, they are somewhat different than the MOEDIM appointed by the Holy One in the Torah. The main difference is that these are yearly events that have their beginnings by the decision of man, and not the decree of the Most High. Therefore, although they are not truly MOEDIM, as they are not blatantly commanded to be observed by divine decree in the clear Text, they are still Biblical in the sense that they are recorded for us being observed by His people in the inspired Hebrew Scriptures (Esther), as well as in the New Covenant Scriptures (John 10). The interested reader can refer to those two texts for further information on these days. ​The above-mentioned MOEDIM and human appointments are widely known and observed by followers of the Most High all across the world. But while this study is about MOEDIM, this study is not really about any of those special spiritual times observed by His people. There is yet a third set of special days mentioned in Scripture that are observed by much of His people which possess a very different nature than the above two types. While there are divinely-ordained MOEDIM and humanly-ordained days of note in Scripture that are observed, this third type is of a unique status in that it appears in Scripture as a set of days originating by man, but becomes something more by the decree of the Holy One. Let us take a look at these interesting days and what it means for us as believers attempting to live lives pleasing and obedient to the Spirit of Holiness who dwells among us. The first passage of importance that sets up the account for us is in the book of the prophet Zechariah 7:1-7. 1 And it was in [the] fourth year of Dar’yavesh the king, [the] word of YHWH was unto Zekar’Yah on the fourth of the ninth month - in Kis’leyv. 5 “Speak to all people [of] the land, and to the priests, to say, ‘When you fasted and beat [yourself] in [the] fifth [month] and in [the] seventh [month], and this [for] seventy years, was the fast fasted unto Me – to Me? 6 And when you ate, and when you drank, was it not [for] you that you ate, and [for] you that you drank? Contextually, this happened during the captivity of the kingdom of Judah in Babylon. The captives sent two men to find out if they should continue the yearly fasts that had been performed since the capturing of Jerusalem and the destruction of the city and Temple by Babylon. These were fasts implemented by the mourning of the people for the horrors that had befallen Judah at the hand of Babylon. These were not divinely-ordained fasts. The response by the Spirit of the Holy One is a question to them and all who would hear: was the fasting commemorating various calamities associated with the destruction of the city and the Temple being done with sincerity, or for personal reasons? It is a rhetorical question, as the final question intends that it should have been observed out of sincerity for ignoring the prophetic utterances that occurred before the judgment of destruction fell upon them. These fast days are also mentioned in the next chapter, in Zechariah 8:18-19, where more information is given that reveals something very intriguing! Nowhere else in all of Scripture do we have the Holy One bestowing the status of a MOED upon any other event of man’s decree. Here alone in all of the Word can we find this incredible prophecy of the addition of new MOEDIM to the previously-established ones laid forth for us in the Torah. It may sound strange to those who have not considered this as a possibility, but the revelation of the Most High to man is indeed progressive, although the seeds for such unfolding revelation are all embedded within His Word, and that is a factor that cannot be stressed enough. For instance, the weekly Sabbath is the very first of the MOEDIM, a day established as such on the seventh day of creation, but hinted at first on the fourth day of creation when He made the heavenly bodies and set them in their orbits with the specific function of being, among others things, for MOEDIM, as we see in Genesis 1:14. The Sabbath is listed in Leviticus 23 as the first of the MOEDIM, but it was ordained as one all the way back before it was even sanctified at creation! Not until the Torah was given to Moses generations later did other MOEDIM come into existence to be observed. The Holy One specifically tells us that the heavenly bodies are “for festivals,” / MOEDIM, yet for many long generations of the world, the Sabbath alone was in place as a MOED. The Torah marked the bestowal of new MOEDIM to fulfill the plural intent of the word originally given. Thus, the revelation and bestowal of MOEDIM has been a progressive event for the Creator's people. The same progression can be seen in the declaration of the Holy One in Zechariah 8:18-19. Four new MOEDIM will one day be added to the list that is currently found in the Torah. At this point in time, they are not MOEDIM, but days of fasting decreed by the penitent hearts of Judah so many millennia ago. The people of Judah observe these times, and all who are engrafted to the nation through Judah – that is, through the Messiah Yeshua who comes from the tribe and makes even Gentiles a part of Israel through His grafting power. 38 And you shall pass away in the nations, and the land of your enemies shall devour you. 39 And those remaining of you shall dissolve in their perversity in [the] land of their enemies, and also in the perversity of their fathers shall they dissolve. 42 then I shall remember My covenant [with] Ya’aqov, and also My covenant [with] Yitzkhaq, and also My covenant [with] Avraham I shall remember, and the land I shall remember! The fast days listed in Zechariah chapters 7 and 8 are thus a fulfillment of His prophecies in Leviticus 26 of what judgments would come upon us if we are steadfastly against Him, as well as what mercies may come upon us in our repentance of our actions and the actions of our fathers. The four fasts are therefore representative of hearts being humbled from our uncircumcised deeds to hearts ready to receive all that He desires of us. The observance of them displays our true sorrow for what has befallen us and prevented us from meriting possessing a new Temple with His indwelling Presence in our lifetime. Asarah B’Tevet (10th of Tevet) - when the Babylonians began the siege of the city of Jerusalem. Shiv’ah Asar B’Tammuz (17th of Tammuz) - when the walls of the city were breached. Tisha B’Av (9th of Av) - when the Temple was destroyed by the Babylonians. It is these times we reflect upon and the loss endured due to our sins. It is these times that shall see a transformation by the decree of the Most High in time to come. These days of sorrow will change into MOEDIM of gladness by the pouring out of His mercies upon our repentance. In fact, the prophet Jeremiah appears to have foreseen this very transformative event, or at least, prophesied it unknowingly in his inspired declarations, as we see recorded for us his writing of Lamentations 1:15. ​The Master has weighed all the mighty in my proximity, [He has] called a festival for me, for [the] shattering of my young men. A winepress the Master has tread for the virgin daughter of Yehudah! The text here is interesting because of the way the prophet words his statement. The text says that the Holy One called a MOED for his account! The Holy One called a MOED for the sake of Jeremiah, the prophet who was forced to experience betrayal by the Most High so he could truly know the feeling the Most High felt from being betrayed by His people Israel (see my study: TEARING A PROPHET APART). What an amazing declaration. The term that immediately follows MOED in this passage is LISHBOR, meaning “for the shattering,” but as it is in the unvocalized Hebrew text, it could be legitimately read as L’SHAVAR “to be seen,” or even L’SHEYVER “for hope.” So while Jeremiah speaks in despondency over the horrors of the destruction of Jerusalem and the Temple, in those same words we see embedded the prophecy of future consolation – the Holy One called a MOED “to be seen” / “for hope.” Jeremiah commemorated a day of evil and judgment, but he prophetically uttered the truth that such a day would, in time, become a favorable divinely-ordained MOED! While there is admittedly scant little to go on as to what will be the rules regarding these new MOEDIM, we do know what will be associated with them in some regard. Right after the Holy One prophesied about the fast days becoming MOEDIM in the future, He goes on to explain in Zechariah 8:20-23 some of what will happen in those newly-appointed festivals. 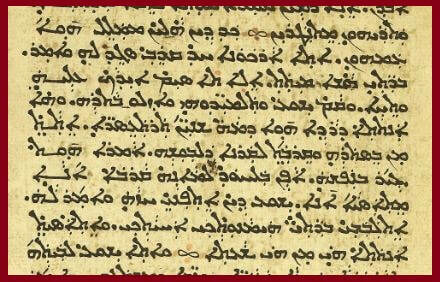 ​​This very interesting prophecy is directly linked to the astounding transformation of the four days of fasting set by our ancestors who had repentant hearts into a period of divinely-decreed MOEDIM / festivals, as the text tells us this happens “in those days” – that is, the four days mentioned immediately above this statement. It is at that special time that an amazing event will happen - the world will react in kind to the unprecedented blessings bestowed upon Israel! It is precisely because of the transformation of those fast days into festivals by the authoritative edict of the Holy One that people from all places around the world - Gentiles who cannot deny the goodness that is taking place - will see that the Most High is indeed with Israel. This transformation of fast to festival will cause people the world over to travel all the way to Jerusalem to pray and seek His face. The whole world will know that His Presence is in Israel and shall go to worship Him on these days that are, in this place only, called MOEDIM TOVIM - "festivals of goodness." These prophesied MOEDIM will be fulfilled in part by people grabbing hold of the corner garment of a Jewish man out of faith, knowing that the Divine Presence is with him. The terminology used here speaks of taking hold of a man’s TALLIT – the four-cornered garment that is used to hold the Scripturally-commanded TZITZIT / tassels, which help us to remember to perform the commandments of the Torah. Amazingly, we actually see a dual fulfillment of this very prophecy in the New Covenant’s book of Matthew 9:14-22. The first part of the fulfillment is in 9:14-17. 15 Yeshua said to them, “Perhaps the sons of the bridal-chamber are able to fast so long as the bridegroom is with them…? But the days are coming when the bridegroom shall be received up from them, and afterwards, they shall fast. 16 No man places a new cloth upon a worn-out garment, so that the patch does not tear from the garment, and the rift be greater. In this powerful account, Matthew records for us a fulfillment of the prophecy of Zechariah regarding what shall happen in time to come when the days of fasting are transformed into days of rejoicing. The passage begins with the disciples of John the baptizer coming to Messiah and questioning Him as to why His disciples did not fast like they and the Pharisees. His answer is essentially that while the Messiah is present, no fasting occurs! Although He would only be with them for a short while, they did not understand that factor yet, and so, they rejoiced that the Messiah was finally in their midst. When the fulfillment of the Messiah’s arrival took place, the observance of fasting had to necessarily change to that of joy. His reference to using new cloth and the new wineskin is addressing that change from sorrow to joy. Obviously, the observance of joy and gladness would be a temporary one, just a glimpse of the eternal fulfillment of the transformation from fasting to festivals, but it is important to understand His presence brought about the change in observation of fasting. 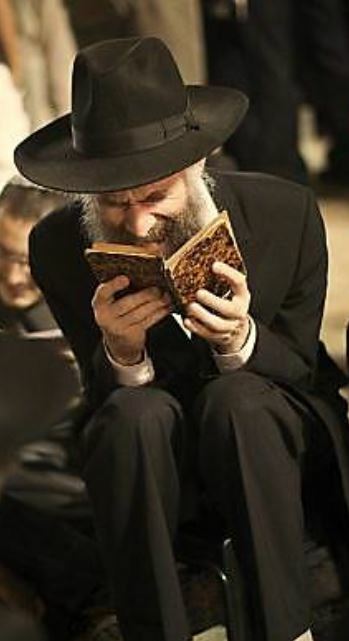 The Talmud, in tractate Rosh Hashanah 18b, actually refers to the four days of fasting and their transformation into MOEDIM of joy when Israel is free from all evils. 19 And Yeshua arose, and His students, and they went after him. 22 And Yeshua turned and saw her, and said to her, “Have heart, My daughter! Your belief has made you live!” And the woman was healed from that hour! The context here is astonishing in how it relates to the prophecy from Zechariah. The prophet speaks of people grabbing on to the corner of the garment of a Jewish man because they know for certain that the Divine Presence is with him. 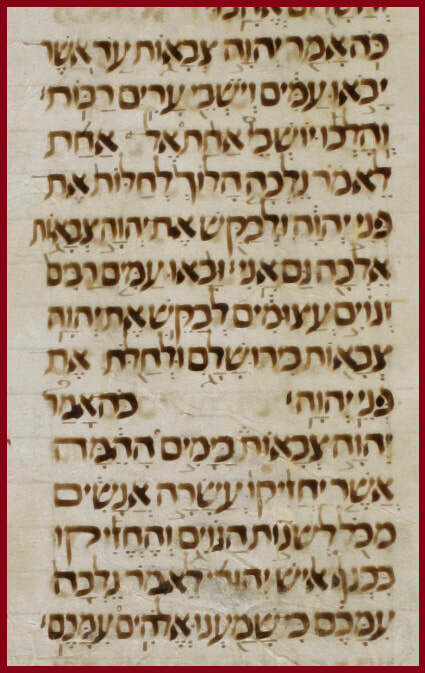 This Aramaic passage from Matthew is a partial fulfillment of that prophecy in that here we have a woman who grabs on to the corner of the garment of Yeshua – a Jewish man just as the prophecy foretold – literally on to the place where His TZITZIT “tassels” would be located, as the Torah itself commands them to be worn. 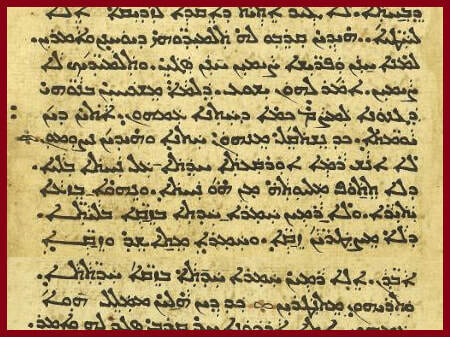 The Greek manuscripts record that she only grabbed the "hem / edge" of the garment, but the Aramaic uses the term QARNA that literally means "corner" like the prophecy in Zechariah demands! This woman acted in certainty of belief that Elohim was with Him, and in that act of faith, she was used to begin the fulfillment of the prophecy of Zechariah about the days of fasting being turned to joyful MOEDIM / festivals – all immediately after Yeshua had just explained why His disciples did not partake of the fasts they were otherwise expected to observe! The connection is so obvious when it is placed in its rightful context of the Spirit’s words from Zechariah 8 concerning what the future was to hold for the people who fasted over the sins of their fathers. These two back-to-back events in the ministry of Yeshua display a hint of what is to come – the transformation of sorrow to joy, of sadness to celebration. While we observe these four days in sorrow and mourning now over sins long past, and the consequences of which still ring down through the millennia to affect us today, we can yet hold out the certain hope that they will not last forever as sad events. At the first coming of Messiah we saw that His presence suspended the observance of fasting for His followers, showing us a foretaste of what is to be! When the Temple is restored in righteousness, when the Messiah again walks among His people as King, and no fear of destruction is over the hearts of His people, then we shall see the prophesied promise of the Most High implemented: fasts shall be festivals, days of mourning shall become divinely-ordained MOEDIM!